The rooms are comfortable and very well furnished. All the rooms have shower, W.C., free Wi-Fi internet access, telephone, radio, safe box, satellite TV, fridge, air-condition (with a small extra charge), and balcony/terrace. 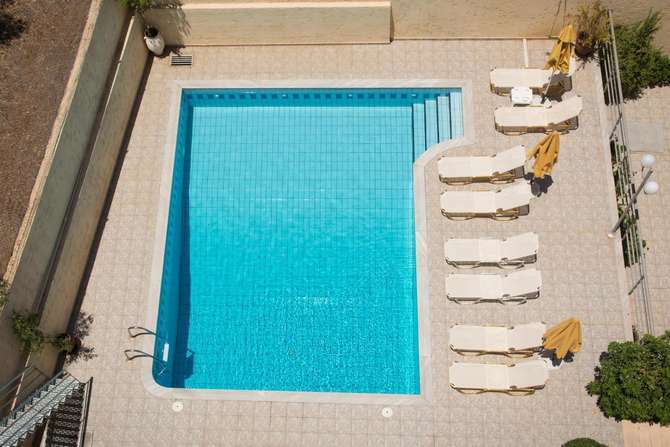 The hotel is situated in the center of the town and only 150m from the beach. It is close to many restaurants, taverns, cafe-bar and shops.